Think Tank Video Transport 20. Normally, we don’t think of video cases or bags as having to do with the workflow. But, in the field, dragging around a case that’s too heavy or doesn’t contain all the necessary gear can slow down a shoot. Here’s how to match the bag with the kind of shoot you are doing. The most important role of a video case or bag is to protect your equipment while traveling to and from the location and giving you a convenient work base once there. Of course, this leads to many questions about how and what you shoot. A news crew that travels the globe is very different from a crew that operates out of a car or a one-man band who has to carry all of his gear all the time. Bags and cases are available from dozens of vendors in many shapes and sizes. It is so personalized, each crew must make an individual decision. There are literally hundreds of choices that can be made — ranging from heavy Anvil industrial cases for large-scale video productions to single Domke over-the-shoulder bags for individual shooters. Protection of the gear has long been considered the #1 objective, but in more recent years — as camera gear has gotten smaller — layout of the gear in the case has gained additional importance with users. Once the shoot begins, all the gear needs to be easily, logically and quickly assessable. Think Tank Photo’s Video Transport 20 Rolling Case ($429.75) is a good example of the modern video case for small, high-end cameras, such the RED Epic or Scarlet, the Canon C-Series, Sony FS and F series, BlackMagic Design Ursa and Ursa Mini and the Panasonic GH-4. This case not only holds the camera body, but can handle four to six detached lenses, a small monitor, a 4K recorder, an audio recorder, shotgun microphone, a 17-inch laptop and cables and accessories. With this Think Tank case, it is not only easy to work with the gear on location, but the case was designed for carry-on compatibility on airplanes, as well as working out of cars. The customizable interior allows users to get the maximum amount of video gear in a case 14 inches wide, 22 inches high and nine inches deep. It weighs about 13 pounds unloaded. The Think Tank case has ABS twinwall-reinforced side walls that provides superior impact protection and heavily cushioned bolsters and three-layer interior lining that cradles the gear. This type of soft case, available from several case manufacturers, including Lowepro, Tenba and Manfrotto is the ideal type of combo storage for both local and out-of-town shooting with compact pro gear. 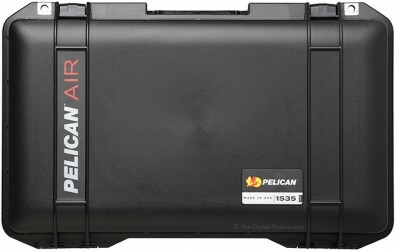 Pelican case with Think Tank interior. Also, another similar type of case is the rolling hard case. Think Tank has teamed with Pelican to create lighter weight hard cases with ultra-high impact copolymer using Think Tank’s interior layout. Other manufacturers of hard cases include HPRC, SKB and Porta-Brace, which use foam that can be altered to fit individual pieces of gear. For an over-the-shoulder bag for one-man-bands, one has only to look back to the roots of still photography. For more than 30 years, I’ve used the Domke F-2 bag ($150) for still cameras. Now I use it for video. None of my video gear from the early days would fit this bag. Today’s video cameras fit perfectly. 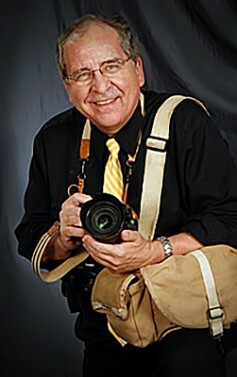 For years Jim Domke, a news photographer, worked to design the perfect shoulder bag for still photographers. “I was creating the ideal bag for the working pro — a bag you could work out of, not just stuff equipment into,” Domke recalled. The bag’s use for video cameras was entirely an accident, he said, laughing. Made with movable folding padded inserts with Velcro strips for creating different numbers and sizes of compartments, the original Domke bag was made of rugged canvas with sail thread stitching. The bag was an instant success with photographers and has survived through the years. Since Tiffen bought the brand, the bag had been redefined, though the original still is made. The Domke F-2 remains my bag of choice for one-man video shoots. It’s an old friend that just works. I have found nothing better. 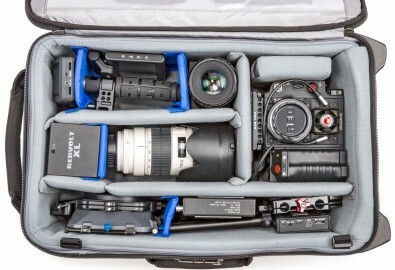 Choosing the right bag and case for your video gear boils down to size, workload and accessibility. Durability and dependability also matters. Layout on the ground matters. Choose the bag or case to fit the job and your crew’s workflow will be enhanced.